Download the custom tool library for Polycarbonate here. Polycarbonate is a set of durable, impact-resistant thermoplastic resins that have relatively high heat resistance and color stability. It’s naturally clear and can transmit light almost as well as glass. It’s commercially known under trademarked names such as Makrolon or Lexan. 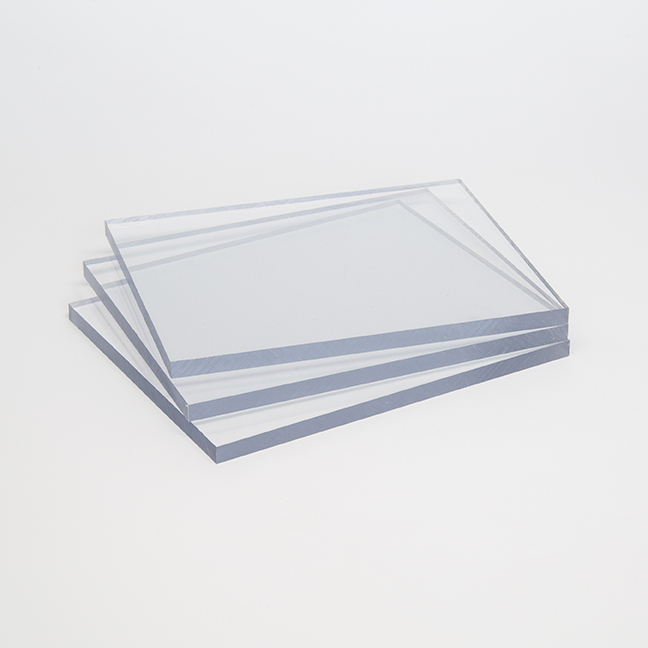 Polycarbonate is used for durable enclosures, windows for large and small applications, crafts such as colored lenses for lighting applications, and a host of other projects. Where can I get polycarbonate? We sell it in our store! It can also be found at hobby shops, art supply and craft stores, and plastic specialty stores. Fixturing: How do I attach polycarbonate to the bed of my milling machine? Double-sided tape works for most projects. Place strips of double-sided tape across the back of the piece until most or all of it is covered with a single, even layer of tape, without any overlap. We recommend Scotch Permanent Double Sided Tape for thinner sheets of polycarbonate and High-Strength Double-Sided Tape for thicker sheets. Avoid using hot glue, as the polycarbonate can deform and cause your cut to come out incorrectly. What end mill should I use when milling polycarbonate? Polycarbonate works very well with all sizes of end mills; however, the tool should be very sharp, preferably one reserved for use with plastics. Polycarbonate can melt under the end mill if too much heat builds up under certain conditions. For example, if the settings you’re using (speed, feed rate, depth of cut, etc.) causes the material you’re cutting to accumulate in the end mill flutes, the chips could melt the plastic to the tool, ruining your tool and workpiece. What are some example projects? 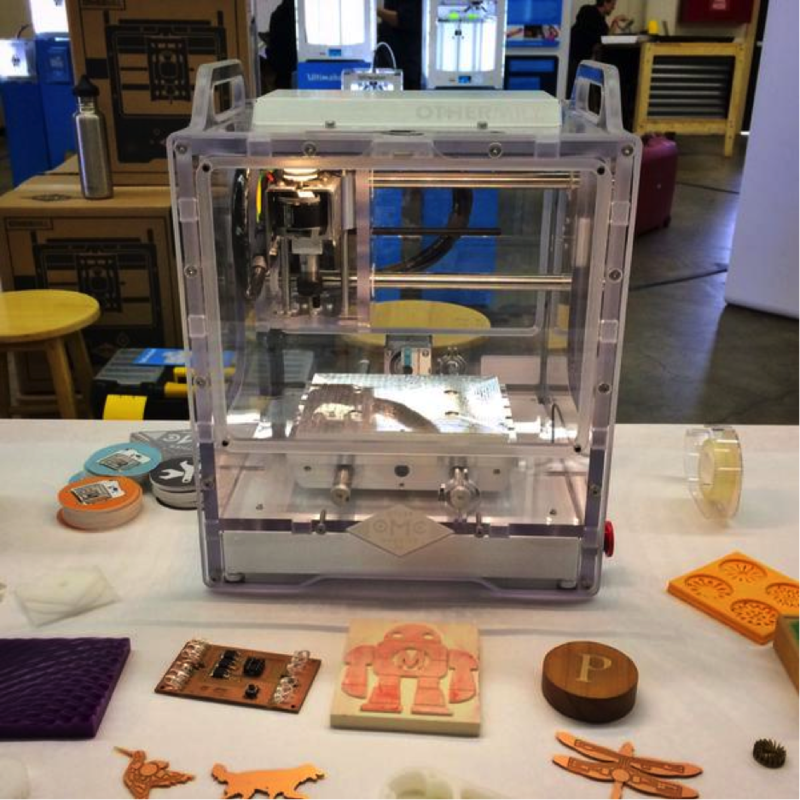 Note: The feeds and speeds below are optimized for the V2 Othermill. 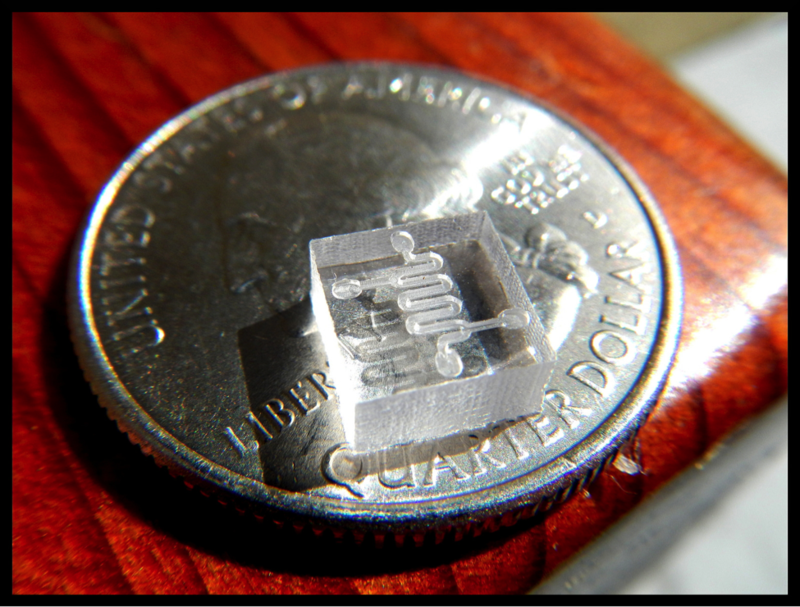 If you are using a Bantam Tools™ Desktop PCB Milling Machine, Othermill Pro or Kickstarter Othermill, you may need to experiment to find optimal settings. To make it easier to use these recommended feeds and speeds, we’ve created a way for you to quickly import into our software all the settings you see listed below. To do this, first, download this file, which contains all the recommended feeds and speeds for this material. Then open our software, click File > Tool Library, click the “Import” button, and select this file. Before using these settings, it’s a good idea to read through our Feeds and Speeds Guide. Download the Custom Tool Library here. Note: Keep in mind that the engraving tool has a variable width, depending on your engraving cut depth setting. The deeper the cut, the wider the tool. The shallower the cut, the narrower the tool. If you’re using an engraving tool and the generated path isn’t cutting part of your SVG, try reducing the engraving cut depth setting. Warning: These settings are for advanced users familiar with feeds, speeds, and fixturing. The feeds and speeds specified here are more aggressive (and thus faster and more fun). Improperly fixtured material can be knocked loose and damage itself and your machine.